It’s time for – Cash and Cline! Come to the Arcadia Theater to listen to Terry Lee Goffee and Josie Waverly take on the personae of Johnny Cash and Patsy Cline. 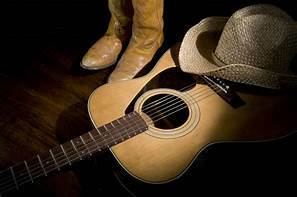 It will feel like you are being transported back in time when the two famous members of country music royalty entertained audiences around the world. Fans will have the opportunity to witness the transformation of both performers during one musical evening. Goffee and Waverly will take the stage next Saturday, June 9, 2018, at 7:30 p.m. for “Cash and Cline” a Tribute to Johnny and Patsy. Rolling Stone magazine, in a rare tribute to country music, compiled a list of the 100 all-time greatest country songs, and Cash’s “I Walk the Line,” was No. 1, and No. 2 on the list was Cline’s “Crazy”. A tribute show to the two of them just made sense. Audience members have been similarly awestruck at Goffee’s ability to morph into the legendary Johnny Cash. Those who have witnessed the transformation have described it as “seeing the ghost of Cash.” It’s no wonder. Goffee has been channeling Cash since the ripe old age of eight, well before his voice changed into the deep bass-baritone that has served him so well. “When Johnny Cash appeared on a variety show, I was glued to the TV. I absorbed the moves and the tics and listened to the interviews,” said the Ohio native, who later devoured books on the star’s life. After high school, Goffee played in local country bands and always included some Cash songs in the set. When he noticed an uptick in the popularity of tribute bands, he made the transition. “That was about 15 years ago and at the time, I wasn’t aware of any Cash tribute bands, so I took it upon myself to rectify that situation,” he said. Audiences have responded enthusiastically, and today, the entertainer travels around the country, performing between 60 and 70 shows a year. Goffee does such a good rendition of Johnny Cash that the makers of “Guitar Hero 5” contacted him to play the Johnny Cash character. “They chose me to do the motion capture, putting me in the suit with the reflectors and all, so when the Johnny Cash character moves, that’s me,” he said. “I portray Johnny on-stage in the first person and interject informational tidbits about his life, or maybe something about a particular song,” he said. We lost Johnny Cash in 2003 and Patsy Cline in 1963, but their music is being kept alive by Goffee and Waverly. Ticket prices are $35, $39, $42. So, call the Box Office – 814-467-9070, Monday through Friday from 10 am to 4 pm. Or order from this website by clicking on the BUY TICKETS tab, reviewing the seating chart, picking your seats, paying with a debit/credit card, and then printing out your confirmation sheet. http://arcadiawindber.com/wp-content/uploads/2018/05/country-music-clip-art.jpg 197 297 Windber Arcadia Windber Arcadia2018-05-31 18:13:412018-05-31 18:20:01It's time for - Cash and Cline!